This article presents a set of general error handling principles and illustrates them in action with a downloadable VB.NET project, including a demonstration program and a reusable .NET exception handling DLL. Useful documentation has its place, but it should be succinct, worded simply, and presented well. How many of us have, or will, sacrifice ourselves on the altar of someone else's software project? I know I have. An interview with Jason Della Rocca of the International Game Developers Association (IGDA). An interview with Paul Hanrahan of the Programmer's Guild. Automating repetitive procedures can provide real value to software development projects. In this article, we will explore the value of and barriers to automation and provide some guidance for automating aspects of the development process. One of the reasons good management is so hard to learn is that much of management takes place behind closed doors. We’re going to open those doors and allow you to see great management in action. Quality code does not happen by accident. It really takes true desire in the heart of the developer. Quite often, when corporations consider the possibility of doing some or all of their software development offshore, the decision is made without considering all of the factors necessary to arrive at the best decision. Judging someone else’s code according to our own relative correctness measurements is one thing, but what happens when we need to modify that code? Cockburn's tolerance for extensibility and flexibility offers practitioners a foot-hold for transitioning toward agile practices. Do you test your code before you send it downstream? How much confidence do you have that another code change won't break something? Eastwood, Stallone, and You: Are You a Typecast Developer? We may not receive a lot of public recognition, but developers are a lot like actors or directors, our careers punctuated by each software smash. It's amazingly easy to fall into the typecasting trap. Too often when we write code, we get caught up only in the exercise of the code itself and forget about the people who will have to use the software and maintain the code after we are long gone. The recent Java 5 (a.k.a. Java 1.5) generics implementation opens both new problems and new opportunities in the implementation of the "Gang of Four" Factory patterns. Introduce yourself to the concepts of general systems thinking and learn a powerful problem solving tool called the causal loop diagram. What is DSM? How is it different from UML and MDA? Can DSM languages produce significant programming productivity gains? Can software development be truly model-driven? Before I became a supervisor, the very notion that someone might be monitoring my Internet usage was not only horrifying, but demoralizing. Didn’t they trust me? The company may have a sales strategy and a long-range view of technology, but the legal protection of its intellectual property becomes an after-thought--a strategic orphan. Too often, members of a team do not understand the power a non-appointed leader can have in influencing the direction of a team, or in initiating change. "Principled Programming" translated into Spanish by Juan A. Romero of the University of Cordoba in Spain. Traducido desde English por Juan A. Romero desde el Universidad de Cordoba por España. In this article the author explores the past and future of Computer Aided Software Engineering (CASE) tools, from the "traditional" structured tools of years long past to today's "third generation" Object Oriented modeling and CASE tools--and beyond into possible futures. Ironically, the author finds that the future lies in the past. Here we continue the developer. * Systems and Software series, in which we explore the topics of general systems thinking and cybernetics to discover how "systems" concepts can help software professionals in the day-to-day work of creating, deploying, and improving software. "Principled Programming" is a collection of "principles" for professional software developers. The principles address concrete matters such as layout and comments, as well as "softer" areas such as personal character. This is a "short form" version of the full "Principled Programming" list. This shorter version only includes the principles themselves, minus the commentary and explanation. This book is essential reading for anyone involved in the construction of software using object oriented languages. Fowler and his fellow contributors do an incredible job of simultaneously introducing and formalizing a code improvement technique called "refactoring." Is the value of your company strongly tied to your software innovations? Does your company have an intellectual property strategy? An LOC estimation does not give you the total picture; the technique I developed to fill this gap is called Pattern Analogies. The traditional, problem-oriented view of maintenance says that our chief goal in maintenance should be to reduce costs. I think that's the wrong emphasis. If maintenance is a solution instead of a problem, we can quickly see that what we really want to do is more of it, not less of it. And the emphasis, when we do it, should be on maximizing effectiveness, and not on minimizing cost. An excerpt from Software Conflict 2.0. Easily one of the biggest issues that causes developers to look elsewhere is probably the first issue which causes managers to cringe. How does one come about one’s specialty or specialties? Once we have chosen a specialty (or after our specialty has chosen us), how do we maintain that specialty? On the face of it, there should be a great deal of money in the software tools business, but, surprisingly, the money really isn’t there for small businesses. This article will show that the ultimate cause of the deficiency is the fact that most of the large development tools are subsidized by the sales of Operating Systems and hardware. These subsidies have the effect of diminishing the profit potential of any pure software development tool vendor and thus remove the incentive to create. The people who come and go in a software shop may eventually be forgotten, but the tracks programmers leave behind make a lasting impression. I still remember the welcoming speech a computer science professor gave his class of eager freshmen almost 20 years ago: "Find a another profession where you won’t constantly beat your head against the wall." In a way, we programmers are quite lucky. We get the opportunity to create entire worlds out of nothing but thin air. Our very own worlds, complete with our own laws of physics. We may get those laws wrong of course, but it's still fun. Resumes may seem like something of a mundane topic, but after spending the last few weeks wading through programmer resumes, it is clear to me that most software developers need help with their resumes. "All this time, when we've talked about design, we've been playing around on the periphery of the subject." Excerpted from the classic essay collection Software Conflict 2.0. Systems thinkers have developed the diagram of effects to bring the structure of complex problems into view. Have you opened your bonus check only to find that the amount was much less than you were anticipating? This interview with Gustavo Alvear of Colombia, South America is the first in the developer. * Global Development Interview Series. This interview with Turki Al-Aseeri, who works in the software development industry in Saudi Arabia, is the second in the series. It's going to take us awhile to get all the way around the world, but here we are at stop #3, with Scottish software developer Craig Murphy, who shares his experience of software development life in Scotland with interviewer Donna L. Davis. Eventually, we just turned off the phones and let everyone go to voice mail. The mailbox would fill up completely about once an hour, and we would just keep emptying it. If a book about software development has sold over 250,000 copies (almost unheard of for technical books) and after 28 years is still in print, and selling well, it's a pretty good bet that it has something significant to offer. Hunt and Thomas's The Pragmatic Programmer is the logical companion to another great book about software construction, Steve McConnell's Code Complete. Indeed, these two books make great companion volumes. Were they from the same publisher, they could be sold as a set. Sometimes it is necessary that tasks that take longer than a few seconds provide feedback to the user and the system. The Task Pattern presented here provides a proven solution for creating and monitoring long running tasks. Just about any developer these days who works in an object oriented language would do well to have at least cursory knowledge of the seemingly ubiquitous Unified Modeling Language (UML). If this acronym is not on your resume, then that is a hole you might want to fill. This is probably my favorite book on the subject of software development. It is definitely my favorite of Weinberg's many excellent books. I return to this book again and again, and find something new every time. Can we possibly keep a project on schedule and under budget while simultaneously pleasing both clients and management? It's like being expected to be rich, beautiful, and smart! In his new book, acclaimed consultant, teacher, and author Jerry Weinberg introduces his approach to writing called The Fieldstone Method. This is not a book about grammar or style, but about *getting things written*--and cutting yourself some slack in the process. In today's world of blogging and "agile publishing," Weinberg's evolutionary, non-linear method is especially welcome. This excerpt explains how Fieldstoning can break the cycle of writer's block. Who owns the copyright to custom software--the person who designed and coded it, or the person who commissioned the work? The answer might surpise you. Each of us who works as an employee or contractor for someone else thinks about starting our own company from time to time--some of us more than others--but not everyone has the temperament for it. Includes articles about career topics such as software professional resumes and job satisfaction, and also professional topics such as ethics, knowledge, and quality. Includes articles about the design of software, both in the small, at the code, class, and module level, but also in the large, at the system and enterprise level. Object oriented design is featured prominently. 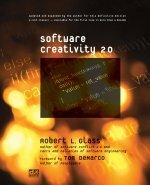 As well as more theoretical topics, such as the classic essay, "What is Software Design?". Inlcudes articles about how to manage software teams, how to cope as a newly promoted manager, and how to "manage your manager." Also includes articles about software lifecyle, process, and methodology. Incudes articles about programming, design, and testing technique, including topics such as usability and aesthetics. Includes articles about software quality, including testing, usability, and design. Learn more about the software development industry, including topics such as offshoring, educaton, professional organizations, economics, and international software development. Articles about software intellectual property, coyright, and other software development legal issues. Articles exploring where systems thinking, cybernetics, and software development meet. Interviews with Software Developers from Around the World. A series of articles for software professionals by Donna L Davis, sharing her insights as a former developer promoted to management. A serialized work of software development fiction. Follow the adventures Brian Luthor and Dr. Wirth. Home of the object oriented spinoza programming language project.